If you know how to stay organized at work, you’re definitely ahead of the game. 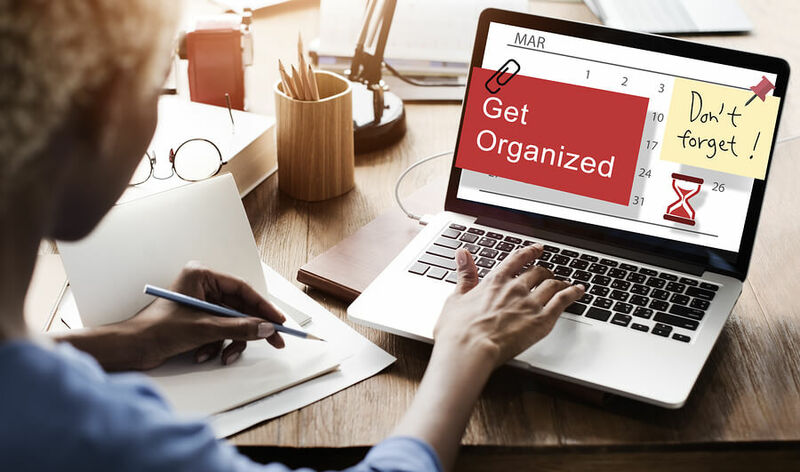 Staying on top of your tasks and keeping organized helps you increase productivity at work, and get more things done than most people would think is humanly possible. Fortunately, learning how to stay organized at work is easy. It just takes a little discipline, and for some it’s an exercise in letting go. Ultimately, everything in your life will benefit from it – including your stress level. Make a list each morning of what you need to accomplish that day, and allocate some time to each item. See how your day stacks up once you figure out how much time it will take to get everything done. Once you’ve made your list and prioritized the things that only you can handle, you will be left with a laundry list of tasks that you can then hand off. If you have a receptionist, assistant or secretary, have them field and return your emails and phone calls, go to the post office, make the coffee, order lunch, and send out invoices. If you work in a shared office space such as Liberty Office Suites, you have a good support system – make use of it! If you don’t, consider hiring a VA (virtual assistant). There are many freelancing sites out there to help: Fiverr, Upwork, and Freelancer are just a few places that you can find a good, on-demand VA to get through that stack of basket-weaving. Once you have these file systems set up, it should be relatively easy to locate files when you need them and stay organized at work. There are hundreds of great productivity applications that will help you stay organized and productive at work. If you are a Microsoft Office aficionado, try OneNote – it’s a great way to stay organized at work, as it allows you to take meeting notes, sketch, doodle or write things in by hand. You can take photos of things and turn them into searchable PDF’s, and then turn around and share them with the rest of your workgroup. Every item you save is searchable, so you can call it up at any time, and since it’s cloud-based, you can access your notes on any device or computer, no matter where you are. This is only one of many productivity apps you can choose from, but it’s one of the most useful – and it’s free, even if you aren’t an Office subscriber. If you are an entrepreneur, solopreneur, or freelancer, you know how valuable your time is. Liberty Office Suites is dedicated to helping you stay organized, because the more productive you are, the better we are together. What are your ideas for staying organized at work? Drop us a line and let us know – we are always looking for new ways to stay organized at work, and we’d love to help. Call today or come by for a tour, and find out how Liberty Office Suites can help you increase your productivity.